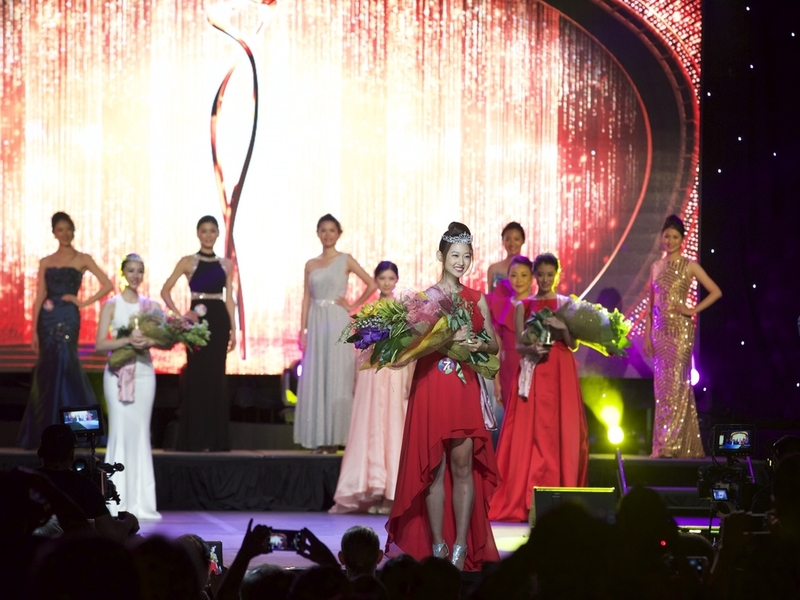 After graduating from McGill University in June 2016, I decided to enter the Miss Chinese Cosmos Pageant Americas Region held in Los Angeles, California. Along with 11 other contestants, we went through a week long of rigorous training from photoshoots to choreographing our own opening dance segment to writing our own screenplay in one night to present the next morning. Overall, it was an amazing journey meeting all these beautiful and intelligent young women from all over North America as well as an important learning experience to stay humble and strive to achieve your full potential. As the Winner of the 2016 Miss Chinese Cosmos Pageant Americas Region, the journey doesn't end here as I will be competing in the next segment in China beginning September 1st, 2016. After crowning the first and second runner up, in order to create hype and suspense, the Masters of Ceremony began asking the audience whom they thought should take home the crown. At first I thought I was hearing my own thoughts yelling, "Number 7! 七号！七号！" but as the MCs repeated a couple contestant numbers, I knew that truly the people from the audience where the ones saying my lucky number.